The Israeli Jewish settlers of the Palestinian territory, which was occupied by Israel in 1967, are dictating unilaterally the demarcation of the borders with any future Palestinian state, thus rendering its creation impossible; holding the Israeli decision-making process hostage, they have become the real killers of peace, who brought the twenty –year old Palestinian – Israeli peace process to its current stalemate. The electoral campaign of Netanyahu for his first term in 1995 was blamed by Israeli media for creating the right environment which led to the assassination of the “father’ of the first Oslo accord for peace with Palestinians in 1993; ever since the “peace process” has been deadlocked. The incumbent government of Netanyahu’s third premiership is now described as the “settlers’ government” or “a settler –friendly government,” the survival of which is secured by a Knesset led by Speaker Yuli Edelstein, himself an illegal settler of the Neve Daniel colony in the WB, who called recently for the annexation of two thirds of the WB area. This is a call that was also repeatedly voiced by the pro – settler Jewish Home party, a partner to Netanyahu’s ruling coalition, which holds three key ministries, including the housing ministry, and controls the parliamentary finance committee. 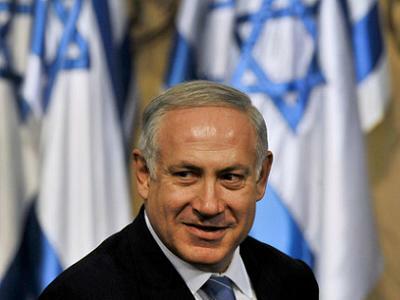 Netanyahu declared his backing for the Jewish Home’s plan. Minister of Economy Naftali Bennett was the chairman of the council of the illegal settlements in the WB and Gaza Strip and is still an advocate of imposing Israeli sovereignty unilaterally on “Area C” in the WB. Uzi Landau, of Lieberman’s Yisraeli Beiteinu party, has the tourism portfolio. Likud’s ardent supporter of settlements, Moshe Yaalon, has the ministry of defense. Foreign minister’s deputy, Zeev Elkin, is himself a settler. The education minister, Shai Piron, of Yair Lapid’s so-called “centrist” Yesh Atid party, is a settler rabbi; Lapid himself who is the finance minister supports the “growth” of settlements even during peace talks and rejects any Palestinian sovereignty under any pact in eastern Jerusalem. Deputy Minister of Defense, Danny Danon of Likud, was quoted by The Jewish Press on August 8 as saying that the “views” of Israel’s chief negotiator, the Justice Minister Tzipi Livni, whose Hatnua party holds six seats only in the settler –dominated Knesset, “do not represent the majority of the current government.” Livni’s role in Netanyahu’s “government of settlers” seems a cosmetic one intended only to circumvent the U.S. pressure for the resumption of the peace talks. In Israel’s proportional system, the voting settlers and the pro – settler political parties and groups have over the years accumulated enough political clout that is far – in – excess of their numbers to determine the internal balance of power, decide the electoral outcome and dictate their own agenda. They are holding the system hostage. So far they have become the real killers of peace. On July 28, 2013, Barak Ravid wrote in Haaretz that Netanyahu “is acting so weak … like a prisoner … a hostage” of his pro –settler coalition partners. 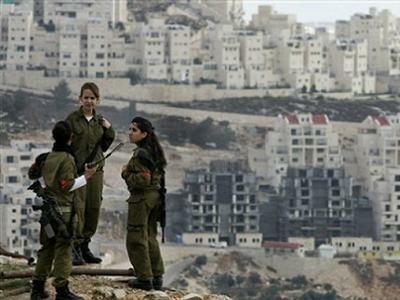 During the interval between the first and the second rounds of the recently resumed negotiations, Israel approved a “new” settlement and 1700 settlement units in eastern Jerusalem; the government included 90 settlements in a new list of “national priority development areas” eligible for special benefits; the list included also the three formerly dubbed by the Israeli government as “illegal outposts,” namely Bruchin, Rachelim and Sansana. Ironically, “Israel’s settlement project” has evolved “irreversible” nonetheless, mocking the U.S. repeatedly declared illegitimacy thereof as merely a lip service that has been all throughout a thinly veiled cover of the U.S. actual protection of the accelerating expansion ever since of “Israel’s colonial” project. No surprise then Kerry from Colombia “expected” what Peter Beinart described in the Daily Beast on August 12 as the “Opening of settlement floodgates” just two days ahead of the second round of the U.S. – sponsored Palestinian – Israeli negotiations, which were resumed in Washington D.C. on July 29, 2013. Worse still, Kerry pragmatically defended the new “opening of settlement floodgates” as an incentive which “underscores the importance of getting to the table … quickly,” ignoring insensitively the Palestinian reaction. However, the PLO is too weak to translate its words into deeds and challenge kerry’s statement that the issue of settlements should not derail the resumed peace talks. In a roundtable on the sidelines of the Clinton Global Initiative in New York on September 22, 2011, former U.S. President Bill Clinton blamed the “Netanyahu administration” and what he called a “demographic shift in Israel,” which was an indirect reference to the settlement project, for the failure of the peace process. Most likely, the settlers are drawing on the fact that Israel itself is the product of a “colonial settlement project,” which so far has proved successful; they are expectedly betting also on the “unbreakable” support of the other successful colonial settlement project that has become the United States of America. Israel relies on the powerful Jewish American lobby to keep cash, support, and settlers flooding in. Many Americans begin it tire of Israels blatant mistreatment of Palestinian men, women, and children. When the conflict in Syria, is eventually resolved, the Golan Heights may be the next scene of conflict. If Israel is to survive it must make concessions. Are all Israelis so blind? There is a story we were told as kids of a David and Goliath, where the big, strong, heavily armoured Goliath was killed by a youth armed only with a sling, and a rock. Mythical nonsense, but it illustrates that the concept of the oppressed throwing rocks has been around for a long, long time. Across the colonised world, from 1600 onwards, US, Canada, Australia and New Zealand and the countries of South America as the most successful examples have seen recognition and compensation, on up to the Indigenous people now controlling their own countries. These are all 300 year plus colonisations, from a time when seizing land buy force was accepted. No doubt, true. BUT it surely is support (from USA, from Israeli national government, from many Jews all over, plus the abject impotent words of Arabs and others). This support-structure has encouraged settlement and with it, the complete destruction of any real 2-state solution. The settlers may be powerful (as you say) but they are the fall-guys, like the Palestinians. What Israel has created is a lingering absess in the M.E. Dangerous. As everyone will find out quite soon. Such ‘power’ (seen in Egypt or Africa) brings a certainty of unrest and war. Israel will prove our most destructive and dangerous threat. ” the most successful examples have seen recognition and compensation, on up to the Indigenous people now controlling their own countries.”…? I’m not sure I understand this statement. Are you indicating that the European colonial projects have, after 300 years, actually compensated the indigenous populations? If so, far from the truth – while some nominal compensation has been directed their way, effective control of the land and the culture is fully out of reach. The corporate economy and the drive for harvesting the wealth of countries will not condone actual indigenous control except perhaps in name only.